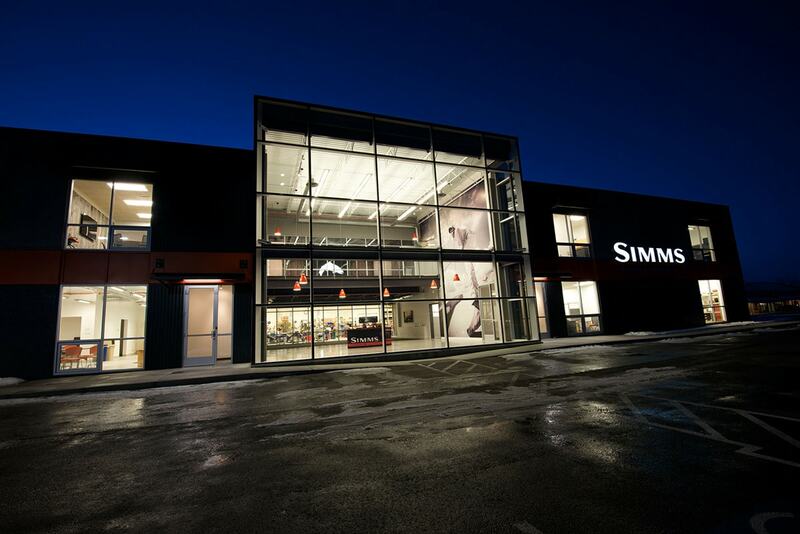 The new building is, in a way, Simms’ strongest vehicle for brand awareness and communication not only to the local consumer base, but to everyone who stops in to visit. 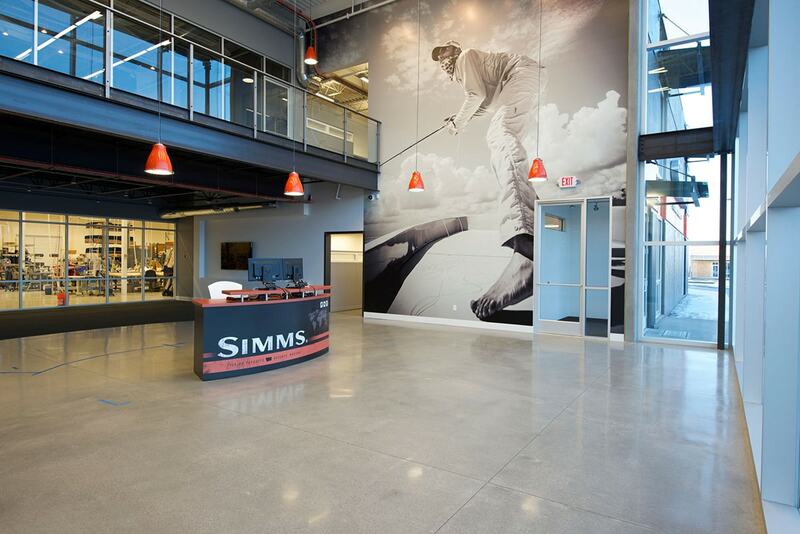 As the new corporate headquarters for Simms Fishing Products, the project houses the only state-of the-art, US wader facility in the country. 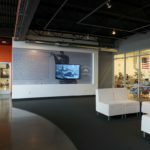 Not only did the team have to create a corporate environment, but was challenged with blending a “real” manufacturing facility and housing all the innovation and machinery that accompanies such a facility—all under one roof. 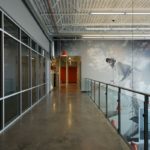 In addition to a corporate headquarters and wader facility, this building had to speak to the company’s brand as the “icon” in the fishing industry. 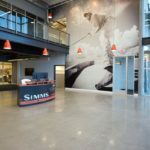 Simms encourages its customer base to visit their headquarters, so incorporating a brand narrative into the design was critical. 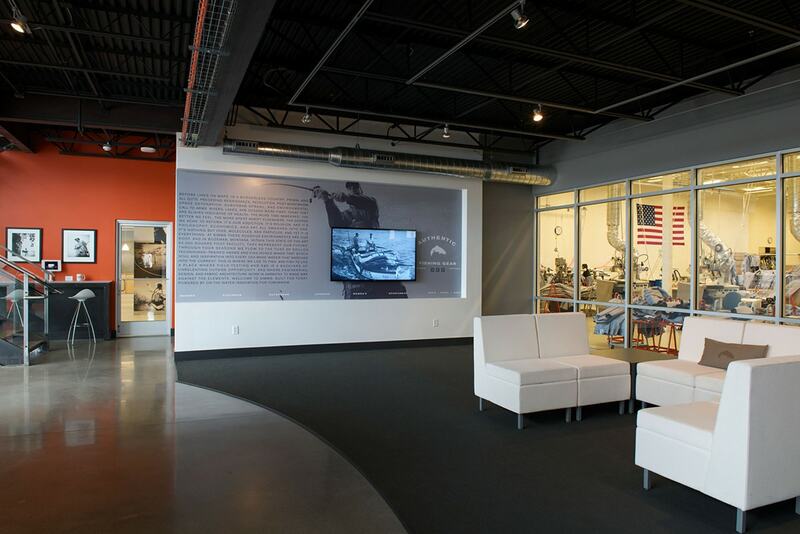 The team created a museum quality, dramatic consumer space to tell that story. 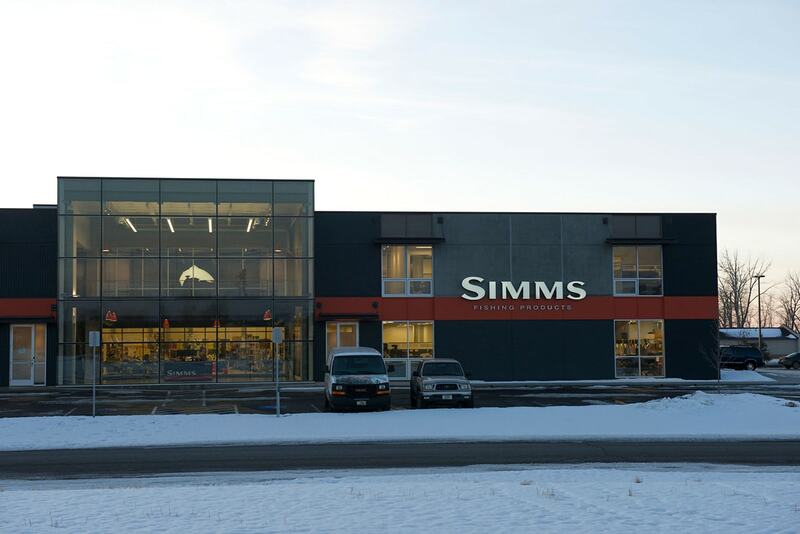 The new building is, in a way, Simms’ strongest vehicle for brand awareness and communication not only to the local consumer base, but to everyone who stops in to visit. 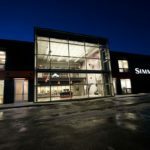 It is the largest solar photovoltaic project in the Gallatin Valley, and estimated to be in the top five such projects in Montana. 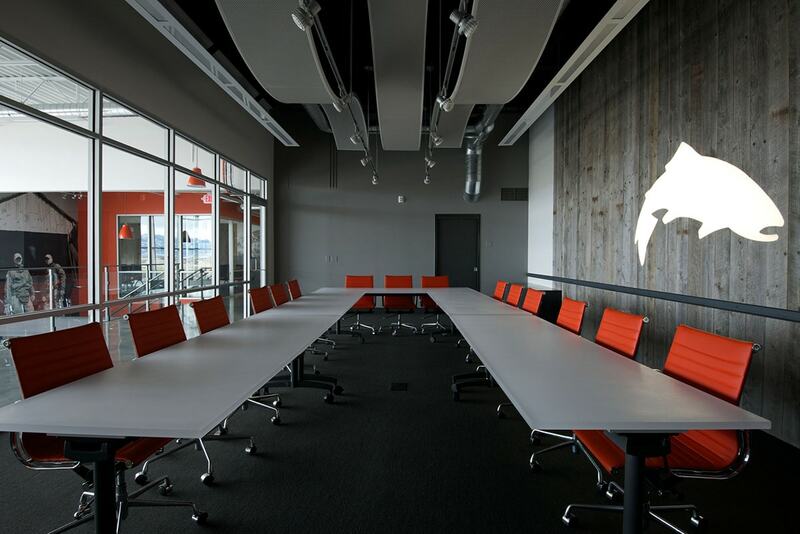 The building is also located at the crossroads of the Gallatin and Madison Rivers. 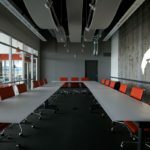 Another noteworthy aspect of the project is that it was a reclaimed building that had been left standing in Montana for the past two years. 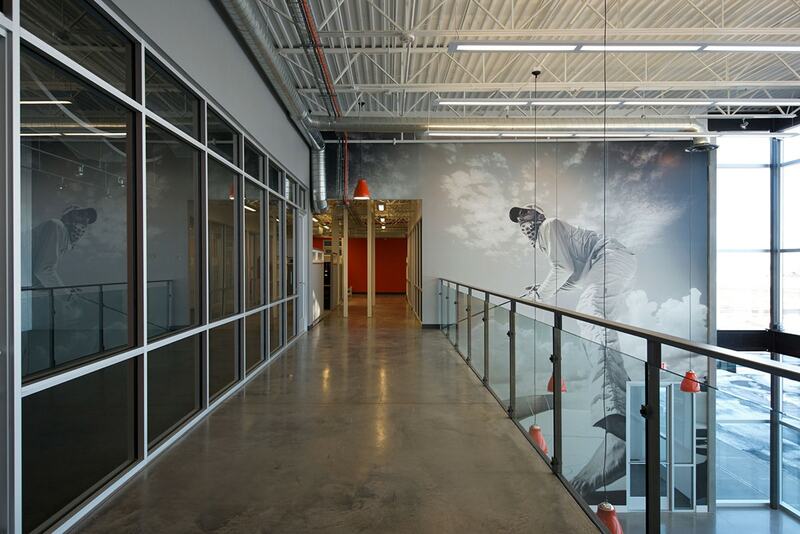 Rather than building on virgin land, they worked within an existing foot print. 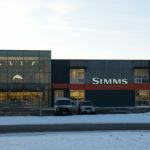 Simms employs more than 120 employees in Bozeman and the new headquarters was needed for future growth of the company.